Here’s a round-up of the many activities there are over the half-term holidays this week. n Heritage and Culture Warwickshire have a range of activities at libraries andmuseums around the county. Some events have limited spaces and require booking, - call 01926 412501 to make a booking. Come and meet some furry friends from Wild Creature Features, hear a really wild story and make an animal craft. £2.50 per child. For Under 5s but older siblings welcome. Places are limited so must be booked in advance. Explore the museum stores with curator of natural sciences, Jon Radley. Includes the chance to see objects that aren’t normally on display and some of the wildlife in the natural history collection. Make a bird mask inspired by the creatures. Recommended for ages seven and upwards. £5 per person. Family ticket £14 (2 adults, 2 children). Places are limited and must be booked in advance. Meet the Terrific Tudors – Live! Travel back in time and meet a Tudor explorer. Make a Tudor house and some Tudor-inspired costume and jewellery to take away. £2.50 per child. No need to book, just drop in. Meet and handle some real live creatures from Wild Creature Features including lizards and spiders. Make your own creature glove and sock puppets. Follow our creature trail around the museum. £2.50 per child. No need to book, just drop in. Bubbly bath bomb workshop at St John’s Museum, with Little Birds Soap. Suitable for children aged eight and upwards. £5 per ticket. Places are limited and must be booked by calling 01926 412132 or 412501.
n Warwick District Council is running a number of events next week, alongside its usual activities. Sport is the theme of the holidays. Multi-sport mini games events will take place in Leamington (at the Kingsway Community Primary School) and Kenilworth (at the Meadow Community Sports Centre) throughout the week. They run from 10am-3pm, £9 per child (full day), £3 for early drop off (8.30-10am), £3 for late pick up (3-5pm) or £5 for both. Suitable for ages 5-11. A multi-sports mania event will also take place at St Nicholas Park Leisure Centre on Wednesday, 9.30am-4.30pm. Suitable for ages 5-12. Tickets £9. The Jephson’s Jungle Club takes place on Tuesday, suitable for ages 4-10, from10am-12.30pm. An art club to celebrate the Chinese New Year will take place at The Pump Room on Thursday, 2-4pm. Recommended for children ages 6-12 years. Entry is free. The Pump Room will also be hosting its usual family art and craft sessions, Art Cart, on Saturday (14th and 21st), 1 – 3pm. Entry is free. Recommended for children up to 12 years. Valentine’s Day will be the theme of the February 14 session and International Mother Language Day will be theme for February 21, where youngsters can create word mosaics. Popular children’s TV character Postman Pat will be making a special visit to the Royal Priors Shopping Centre in Leamington this February half term. Join Postman Pat and Jess the Cat on Wednesday February 18 for a free meet and greet event. There will be photo opportunities so bring your cameras. The event will take place on the upper mall of the shopping centre, with the characters making appearances at intervals between 11am and 3.30pm. n Soaring eagles, fearsome fireballs and the agility and power of a bowman are all on show at Warwick Castle. During half term break, the first shows of the Flight of the Eagles (the UK’s only free-flying Andean Condor – the world’s largest bird of prey with a wingspan of over ten feet) takes to the skies twice daily. There will also be trebuchet fireball shows, stories and dressing up in the Princess’s Tower and other historic events. n Brandon Marsh will be running a number of events over the half term. Booking is essential - call 024 7630 8999. They include wildlife watching on Monday, a craft day on Tuesday, shelter building sessions on Wednesday, a teddybear adventure on Thursday and a winter adventure on Friday. Visit http://www.warwickshirewildlifetrust.org.uk for more information. n Hatton Adventure World will be opening its first ever circus from Saturday February 14. There will be magic displays and juggling classes. 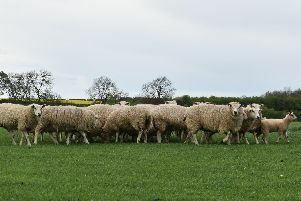 This half-term will also see the return of the lambing marquee, where more than 50 ewes are expected to give birth.